Castles is about the last stand of civilization against barbarism. 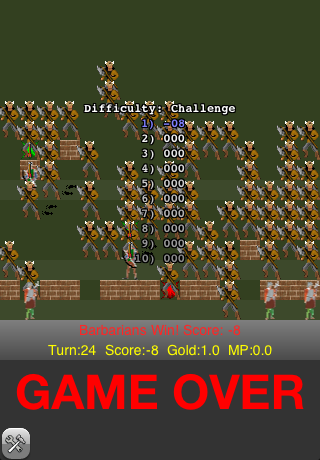 A hundred barbarians are charging towards your castle. 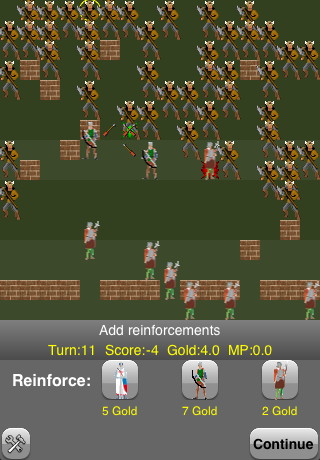 A handful of barricades, a wall, and a small band of heroes must hold the barbarians back. 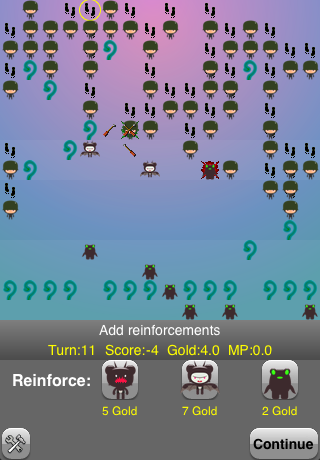 Castles is a turn-based strategy wargame of using limited reinforcements to shore up collapsing defenses, and using the enemy's aggression to keep them away from your castle. 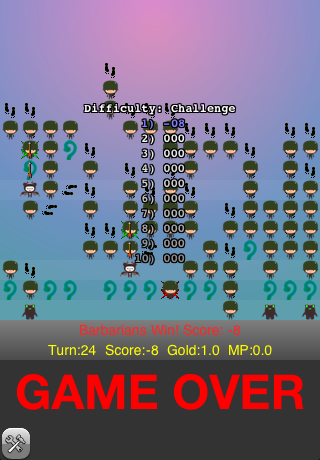 Castles was my first iOS game, and launched with the App Store in 2008. Some of it had been written as a Mac game in 2007, and originally based on a game I wrote on the Atari 800 in the '80s. Currently not available, will soon be rereleased on Mac.